Precise, reliable and powerful. 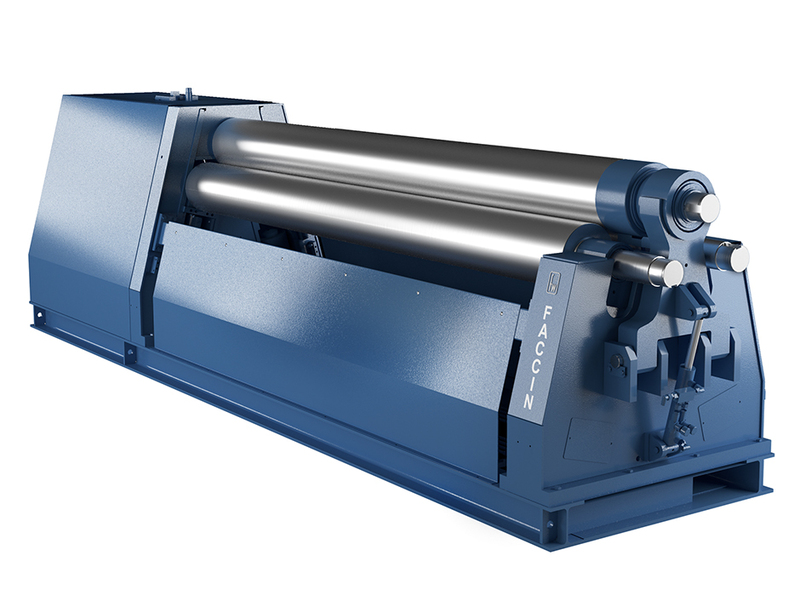 The Faccin 3HEL Plate Rollers series represents the latest evolution of the traditional 3-roll double pinch plate rollers. Faccin has created a range designed to meet the needs of the metal fabrication sector in terms of sturdiness, ease of use and versatility. The Faccin 3HEL series is a highly powerful, pyramidal linear guide bending roller capable of assuring superior results with no power loss. All 3 rolls are motorized with independent hydraulic gear motors. 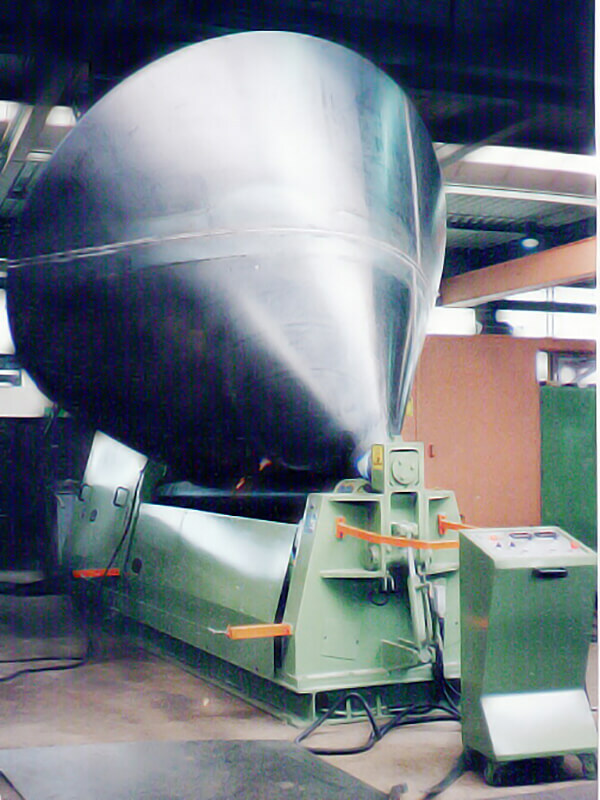 This ensures the superiority of these bending rolls torque and rotational speed. A standard feature of all 3HEL models is the RGS side guide configuration. This minimises the distance between the points of application of the forces at play. 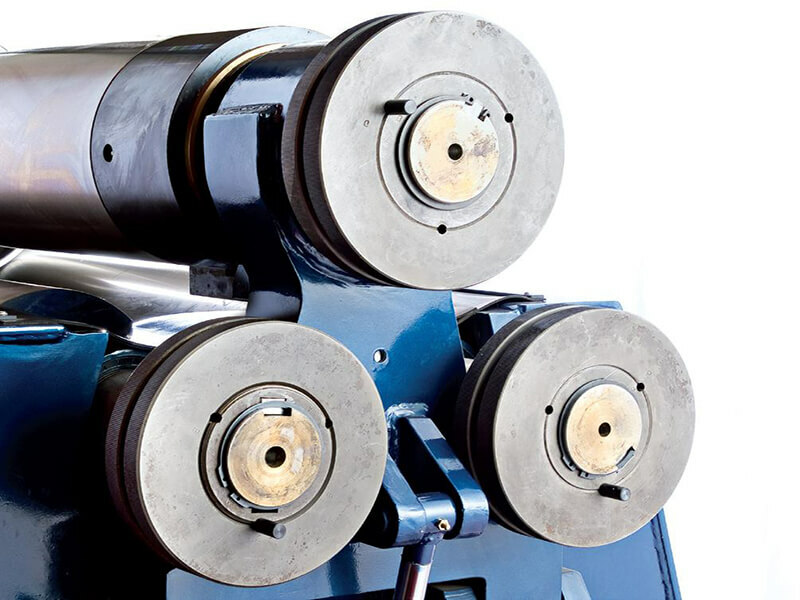 Thus ensuring superior rolling quality and optimised machine performance. The pyramidal bending rolls are also equipped with an MCS multi bearing system, improving their reliability and versatility. 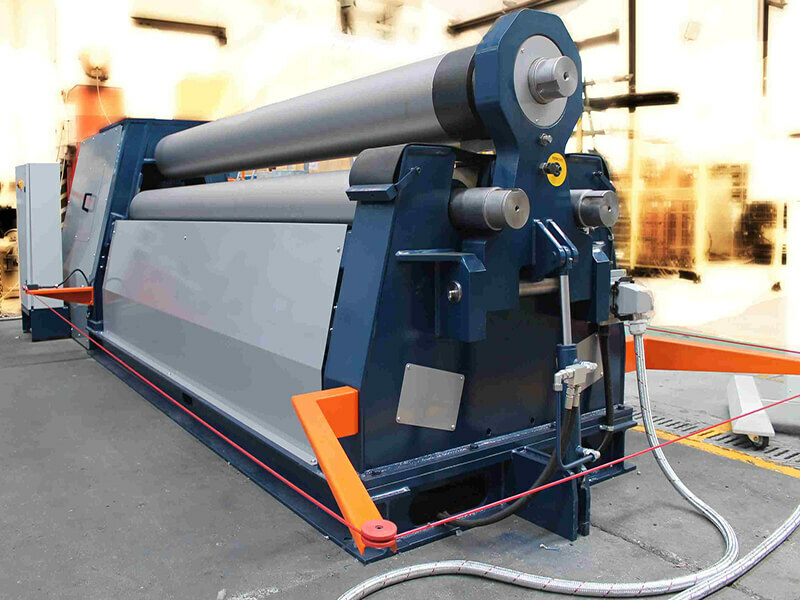 Due to this system, each lower roll is fitted with 4 independent bearings that increase the load absorption capacity and aid side roll tilting when rolling cones. The MCS system also features large roll supports with a lubrication system which prevents wear of the bending roll. 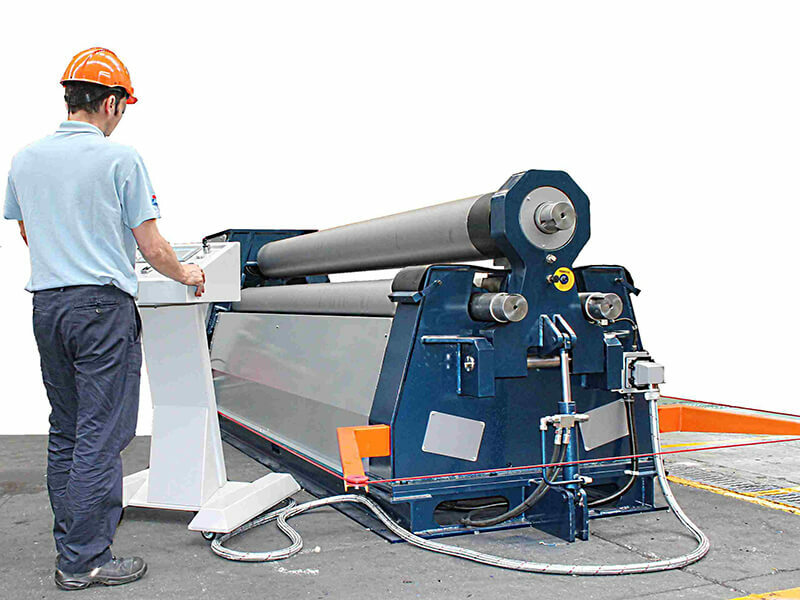 The 3-roll bending rolls of the 3HEL series are suitable to bend plates with length from 1500-4000 mm and thicknesses between 3-30 mm. In addition, it is possible to extend the roll shafts for fitting profile bending or tube bending rings.